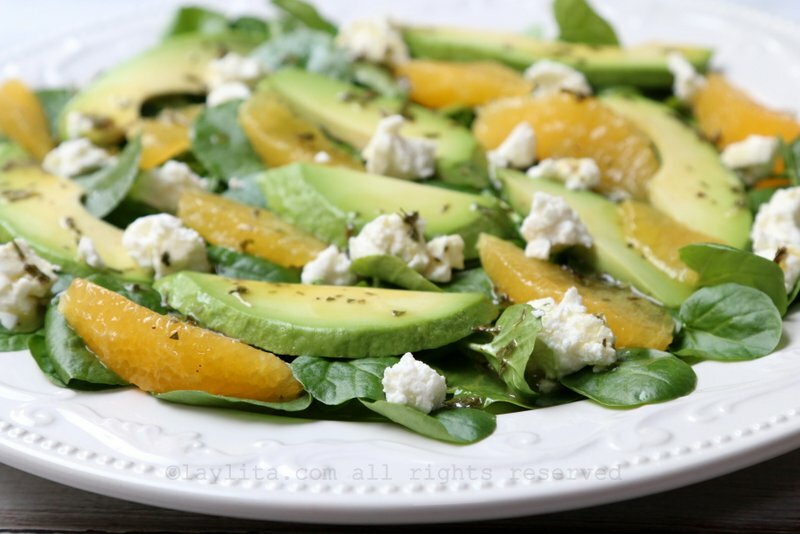 This refreshing watercress salad with avocado, orange, and goat cheese is delicious contrast of flavors. 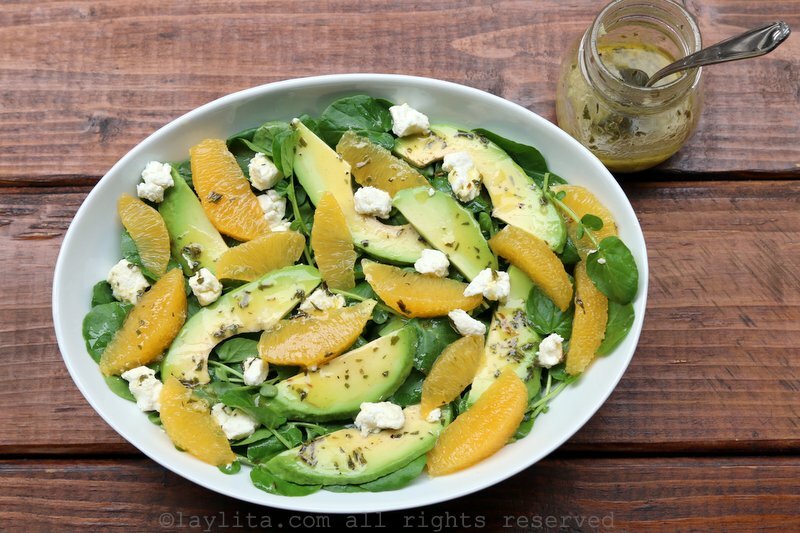 The vinaigrette or salad dressing is made with orange, tarragon, garlic, and champagne vinegar. 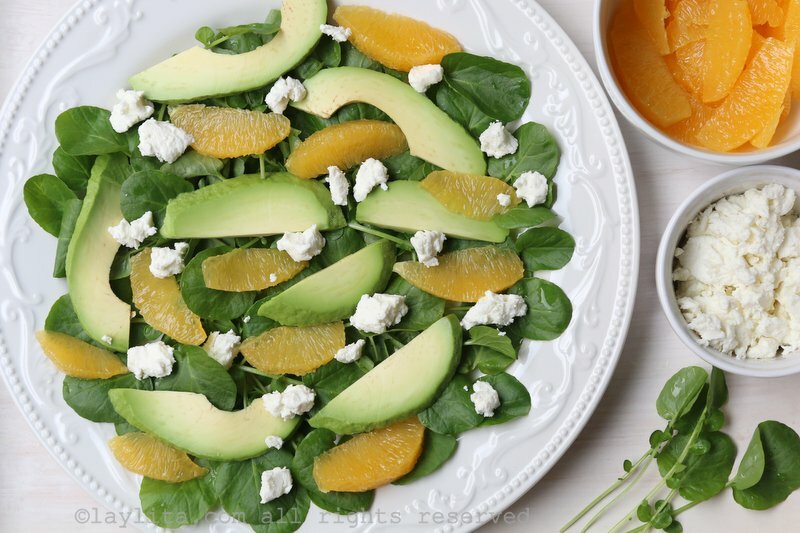 I love the contrast of the spicy watercress, creamy smooth avocado, sweet and tart orange, the richness of the goat cheese, and finally the tangy spicy champagne vinaigrette. 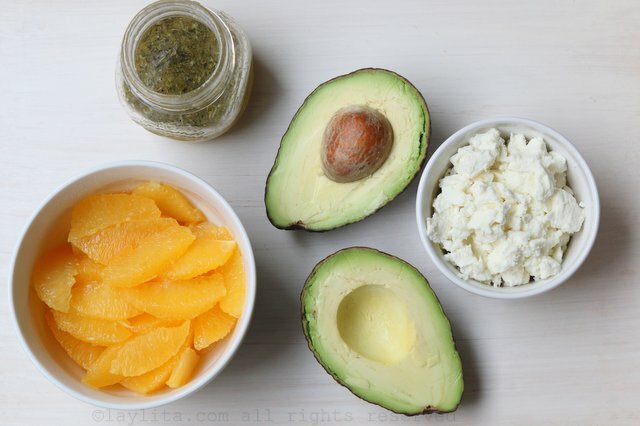 Each ingredient is delicious alone but combining them all in one bite is awesome. 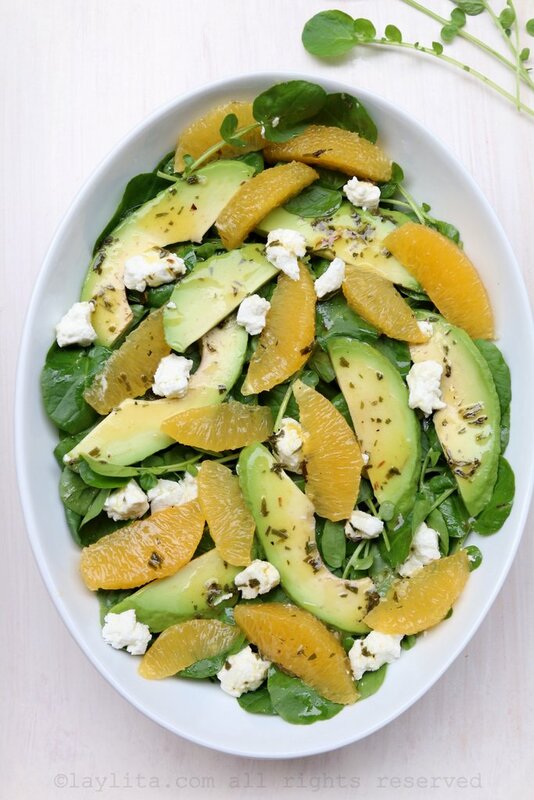 This is the kind of salad where all I need is some good bread (and good wine) and I will be completely happy and satisfied. 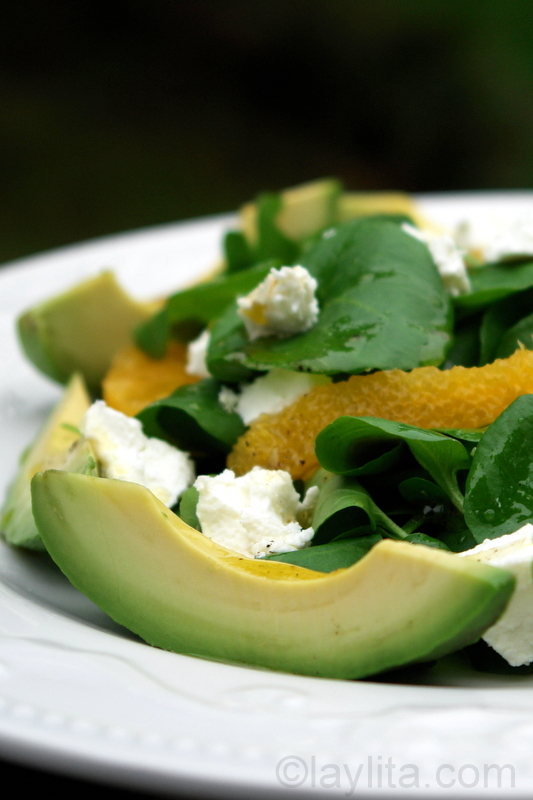 Refreshing watercress salad with avocado, orange and goat cheese with an orange tarragon vinaigrette. 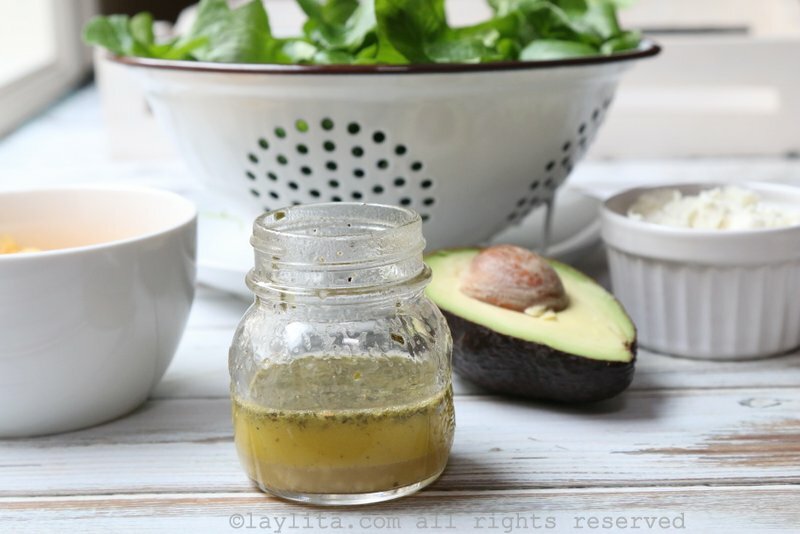 Mix the vinaigrette ingredients together, a good way to get the ingredients well blended is to place them in a small jar with a lid, and shake it well. 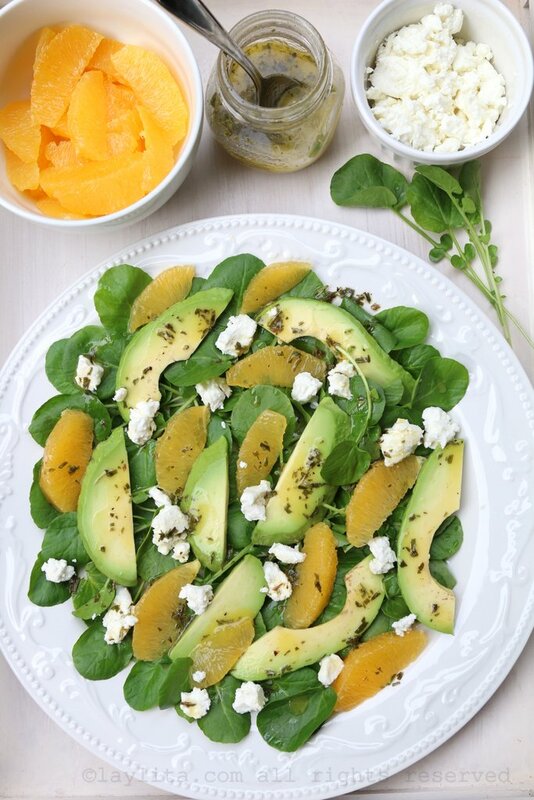 Place the watercress leaves, avocado slices, orange slices, and crumbled goat cheese in a salad bowl or on individual plates. 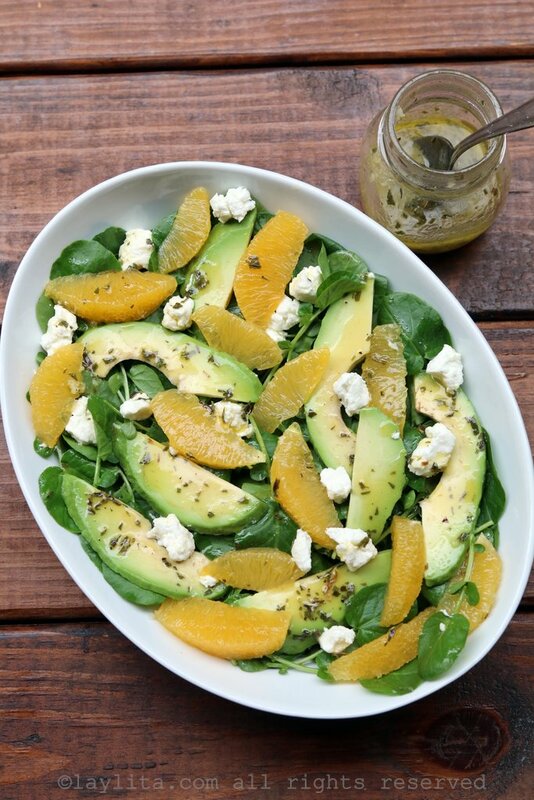 Pour the dressing over the salad, toss gently, and serve immediately. 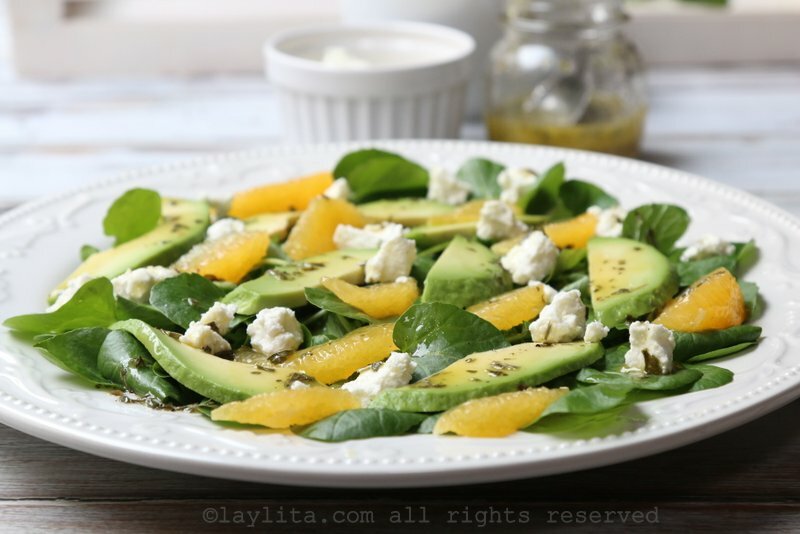 We eat a lot of salads around here, at least once a day (if not twice); and with two kids I have to constantly change it up and come up with new salad creations. 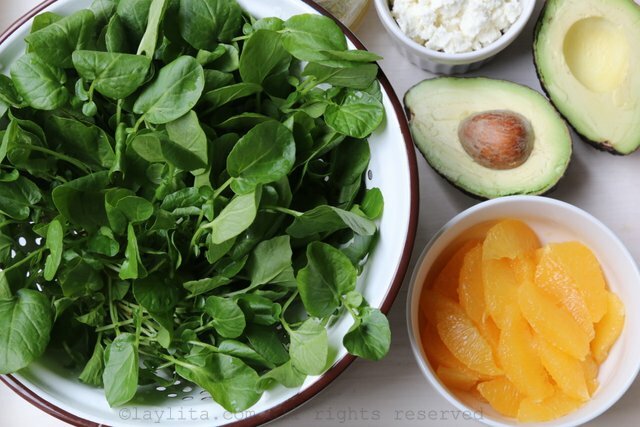 This is my solution to keep them from getting bored of salads, though this probably applies to everything for them (except certain movies, I have lost count of how many times I’ve seen Cars this week). 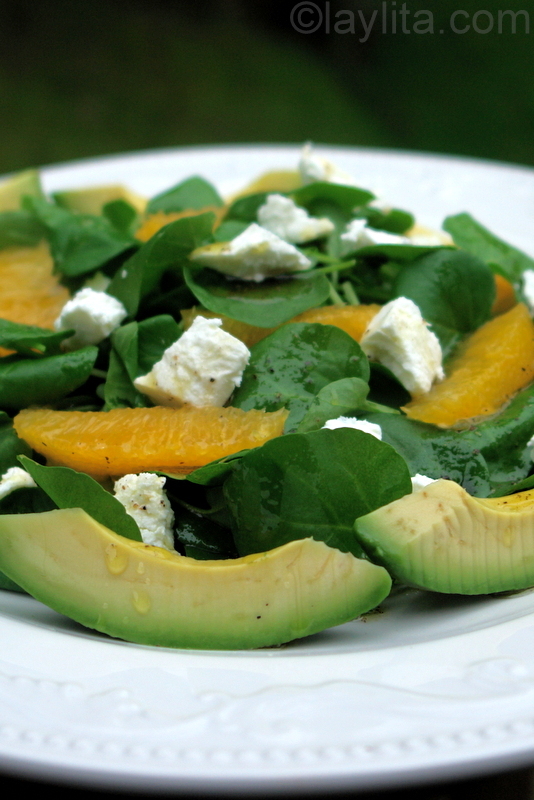 I’ve always been a huge fan of salads, ever since I was a little girl – I probably have my mom to thank for that. 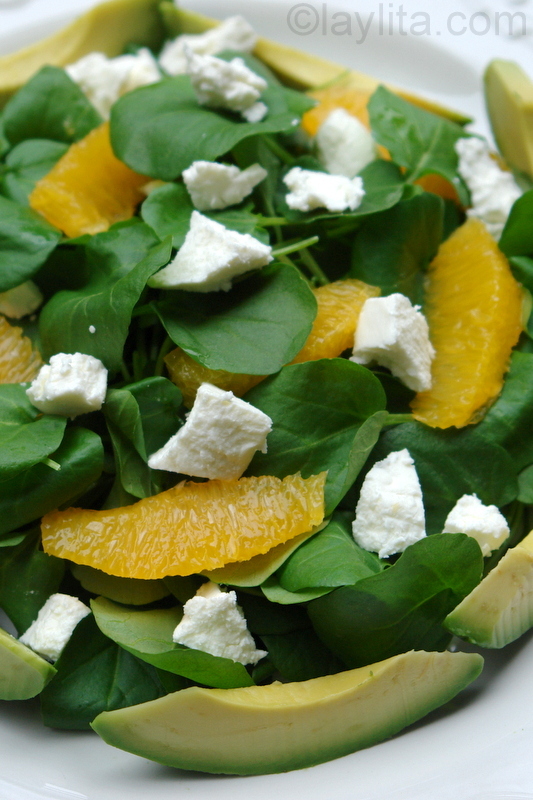 She always made a lot of different salads, and I am hoping that my kids will continue to like salads as they grow up. 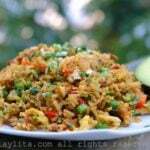 Laylita esta es una pagina bastante profesional, las fotos son espectaculares y las recetas ni se digan. 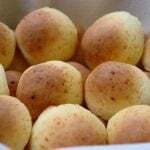 Gracias por destacar la gastronomia Ecuatoriana.